Curated by Andrés Gutiérrez Usillos, this exhibition focuses on an anonymous portrait of c. 1670. The work represents Doña María Luisa de Toledo, daughter of the Marquis of Mancera, Viceroy of New Spain, accompanied by a tattooed Indigenous woman. 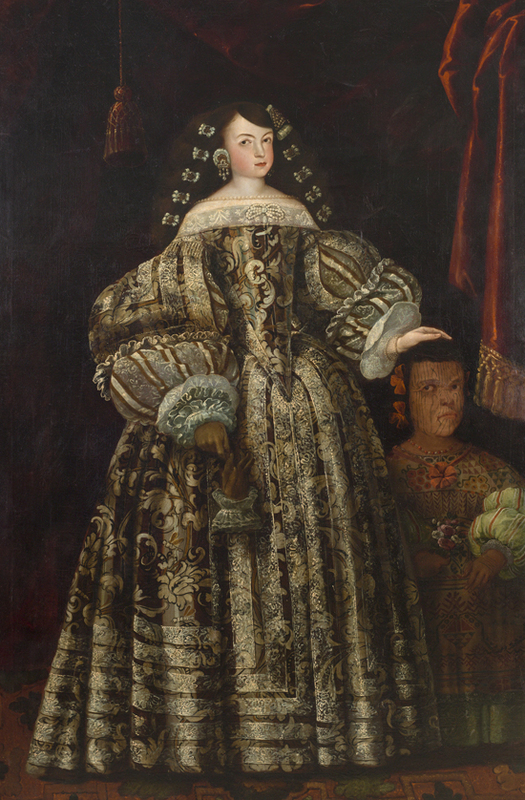 The show explores the world of the women portrayed in the painting, for example by reconstructing Doña María Luisa de Toledo’s trousseau, composed mainly of American and Asian items acquired in Mexico. The presentation thus analyses the clashes and encounters among the different worlds which coexisted in Viceregal America from a rare female perspective. Click here for more information, and here for an exhibition brochure. This entry was posted in Exhibition, Uncategorized and tagged america, Andrés Gutiérrez Usillos, Baroque, colonialism, Doña María Luisa de Toledo, early modern, Exhibition, featured exhibition, female, indigenism, international exchange, Madrid, Marquis of Mancera, Mexico, Museo de América, New Spain, Portraiture, SPanish Empire, trade, transatlantic exchange, Viceregal, Viceregal America, Viceroy, women on December 13, 2018 by costanzabeltrami. A Voyage to South America: Andean Art in the Spanish Empire, New long-term installation, Art Institute of Chicago, till 26 February 2016. The museum’s first presentation of work from the viceregal period. Fourteen paintings and related works on paper introduce visitors to explorers, artists, and patrons who lived in the Spanish-governed Andes during the 17th, 18th, and 19th centuries. 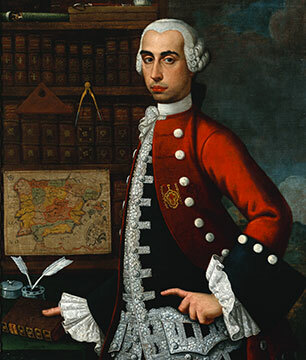 The metaphorical guide of this journey is Antonio de Ulloa (1716–95), a Spanish naval officer and cartographer who traveled to South America with a French scientific mission in the 1730s and 1740s. His portrait introduces the group of works assembled—paintings of identified sitters, signal works by important South American artists, and devotional paintings that include historical figures. This entry was posted in Latin America and tagged 2015, 2016, Antonio de Ulloa, Art Institute of Chicago, Chicago, Installation, Latin America, SPanish Empire, Viceregal Period on January 2, 2015 by Clare Hills-Nova.